Low maintenance planting means different things to different people. In this blog we’re looking at the importance of communication and using clever design and technology to create beautiful planting schemes that are easily managed. If you’re about to embark on a garden refurbishment, chances are the words “low maintenance” are on the tip of your tongue. Landscape gardeners, garden designers and architects are often asking for low maintenance planting. But what exactly is low maintenance planting? What does low maintenance planting mean to you? When I meet with clients I try to get a thorough understanding of what they want from their outdoor space and why. So when a new client asks for low maintenance planting, I try to discover the reason for their thinking. Once I understand their needs, it’s easier to design the whole garden – including the planting scheme around what will be manageable for them. Low maintenance planting is a matter of personal perception. I would call this mix of shrubs and herbaceous perennials reasonably low maintenance. But, I’m a gardener and I like messing about with plants. Not everybody has the time or the confidence for gardening and that’s where a really good, bespoke, low maintenance planting plan can help. 21st century gardeners have so many different landscaping materials, technology solutions and plant species at their fingertips that it’s usually possible to find a way to devise a low maintenance to suit the client’s needs without resorting to burying every square centimetre of soil beneath hard landscaping. After all, plants have so many benefits, aesthetically, environmentally and for general wellbeing. I can relate to the need for time saving planting schemes. Modern life is busy and some people (me included) just can’t squeeze anything else in, no matter how enjoyable or relaxing those tasks might be. Busy people are probably the people who benefit the most by having a green oasis to come home too. So how can we compromise? My answer to this one looks to technology for help. A robotic lawnmower for example will keep a natural lawn looking fantastic without the householder doing a thing. Automatic watering systems can keep pots and planters in good condition – even if their owner goes off for a much deserved holiday. Choosing slow growing plant species and placing them where they have the exact conditions they need to thrive in is another tactic I use. Use weed suppressant membranes and decorative mulches and bingo – a classy looking planting scheme that needs minimal care. 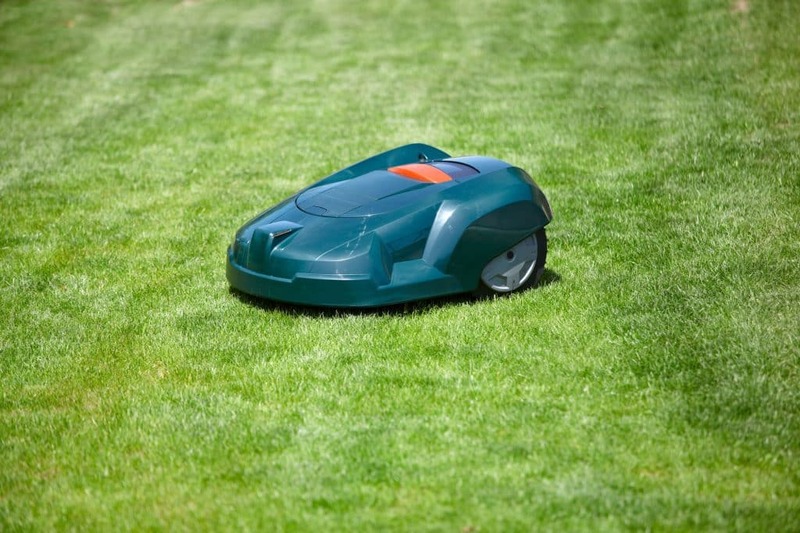 A robotic lawnmower can save hours of toil and still allow the family to have a natural lawn. Clever landscape contractors know exactly how to level a lawn and give it a paved border so that the lawnmower can trim the edges as it goes. I also like the English Cottage Garden effect and prairie planting for time saving planting schemes. They look high maintenance but actually, it’s amazing how much can be hidden by dense planting. The Victorians allegedly rarely weeded their cottage gardens, they just pulled out any weeds that poked out of the top. 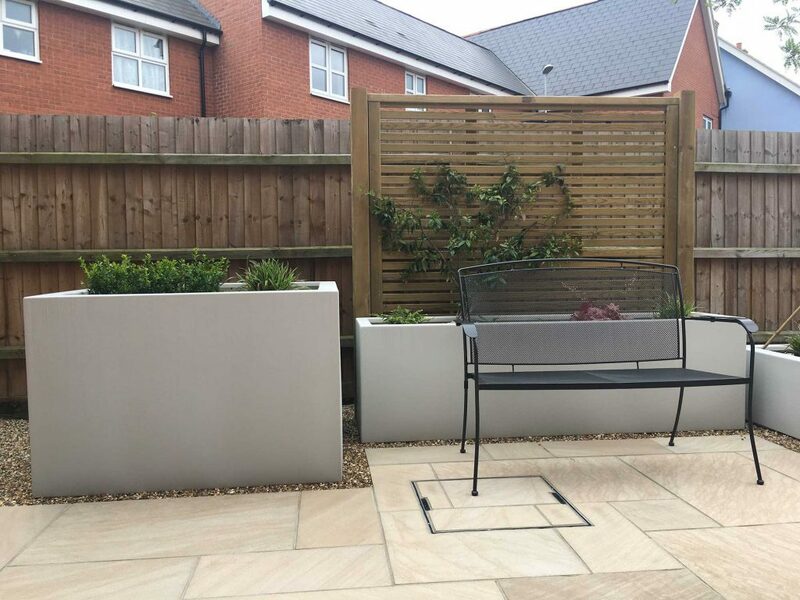 This type of scheme does need a little bit of maintenance though – cutting back spend foliage etc so If the budget allows, monthly or quarterly visits from a trusted landscaper or horticulturist will keep everything tidy and under control. I feel so strongly that gardening should be taught in schools so that everyone feels confident enough to grow a few veggies or have a pretty border to look at. But that’s another subject all together. When someone tells me they don’t want plants in their garden because they’ll only kill them – it makes me sad. It also makes me determined to help them overcome their fears and really get them engaged with planting and gardening. This is not so much about low maintenance planting as easy maintenance planting. Planting for beginners. So I take extra care to choose the right plants for the right places. I also avoid suggesting species that grow too strongly, need specialist pruning or are not hardy in this country. I try to include some really interesting colours and textures and make sure there’s something happening all year round. The last thing I want to create is a mirror image of the supermarket carpark! My aim is to get the client really engaged with his or her garden over time so that he or she gains confidence in her plantsmanship. You don’t need to be a plant expert to enjoy gardening. A simple low maintenance planting scheme can help new or nervous gardeners to gain confidence in their abilities. Not everybody likes getting their hands dirty. That’s OK. In my experience though, just because somebody doesn’t enjoy gardening, they can still appreciate beauty and want to be surrounded by it. Again, it’s about compromise. Using technology where possible and keeping the planting simple, perhaps using lighting or water to soften the hard landscaping and introducing specimen plants in large pots that will be easy to care for. The pots can be swapped around to reflect seasonal changes. There are a lot of people out there who would enjoy gardening so much more if only their bodies allowed them to do so. 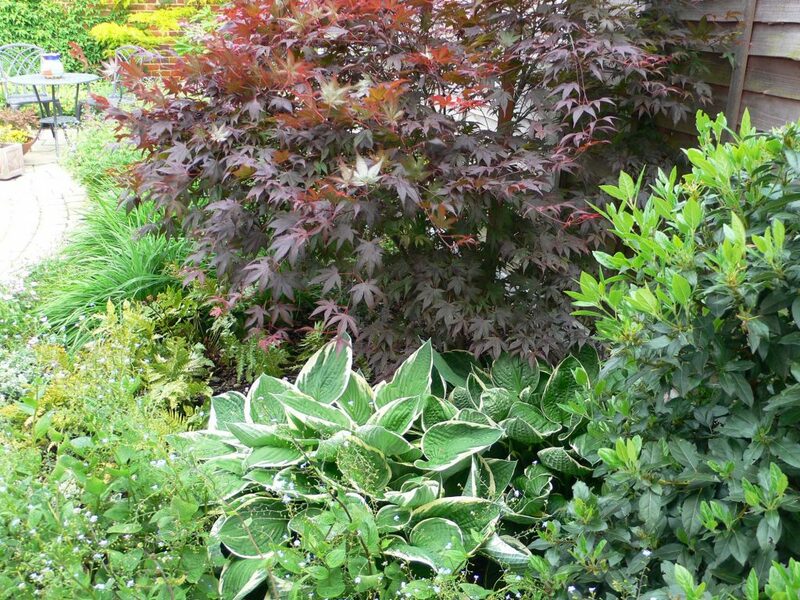 These are the gardeners who can benefit enormously from clever garden design. The ones with failing eyesight, aging bones, or restricted mobility. Raised beds, resting places and sensible surfaces can make gardening accessible to older or less mobile people. This type of feature can be used to grow vegetables or herbs, cut flowers or soft fruit. 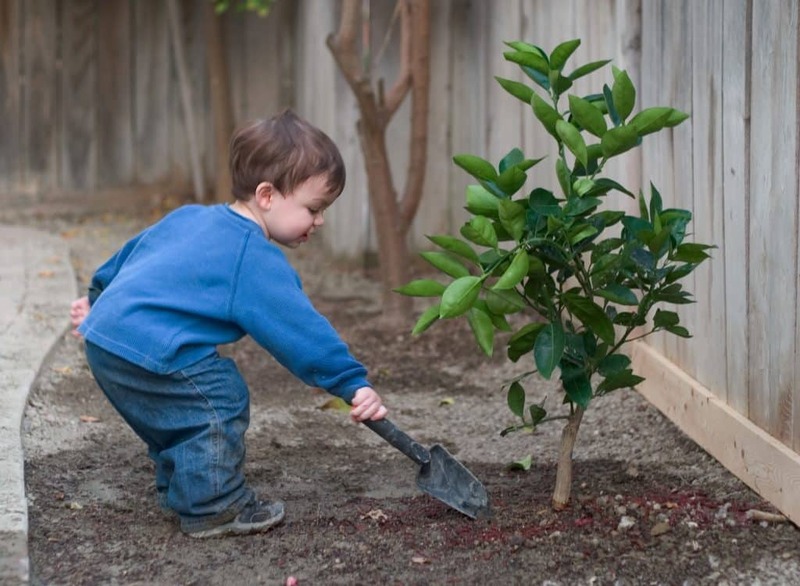 Planting can be adapted to suit the amount of time and energy available. In time, these planters could be turned into water features to retain interest but reduce the workload. 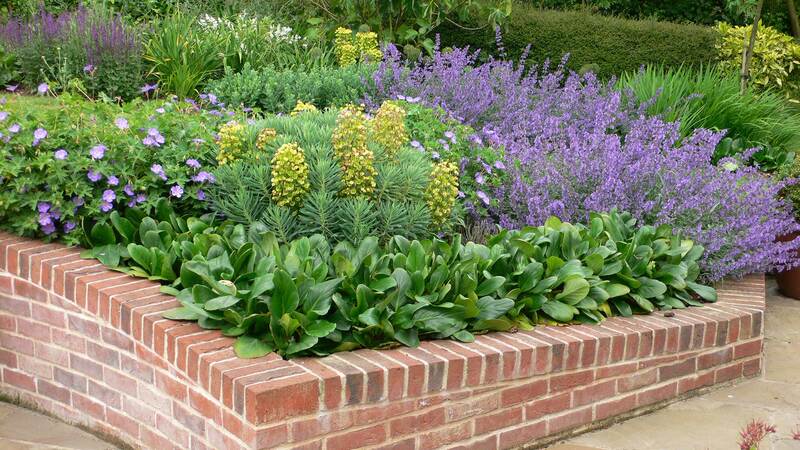 Thoughtful hard landscaping can mean that the gardener can actually manage more planting than he or she imagined. We try to incorporate nice wide paths and plenty of resting places. We use imaginative solutions for making slopes accessible. Careful choice of materials ensures that paths and patios are easy to walk (or wheel) on. Nice deep raised beds or planters can accomodate almost any type of planting. And of course we can recommend tools and technology to reduce the amount of physical effort needed. © Copyright 2018 Holland Landscapes. All Rights Reserved. Cookies are small text files held on your computer. Some cookies are required to ensure that the site functions correctly, for this reason we may have already set some cookies. They also allow us to give you the best browsing experience possible and help us understand how you use our site.